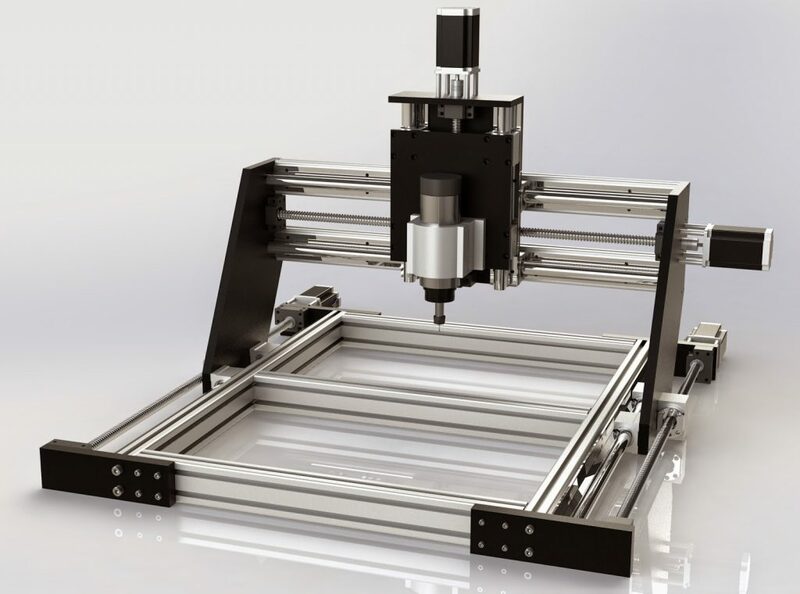 My shapeoko is getting kind of small, and I’d like to be able to mill aluminium, so I’m working on a new CNC mill. The work area will be 600x500mm instead of the shapeoko’s 300×300, and I switched from the relatively stretchy timing belts to anti-backlash ballscrews. It does feature the same NEMA23 stepper motors, but these were rather overkill for the shapeoko. I finished the design a long time ago, and I already have most parts, but I only just got around to finishing the list of required bolts and such. When I have all parts I’ll first make a prototype with all the black parts in the design cut from wood. Eventually I’ll have them made out of aluminum. I am going to have to find myself a bigger desk though.